The bar is rising for what’s considered a happy chicken, sparking the hottest trend in the US market: the pasture-raised egg. Pastured eggs come from hens that spend most of their time outdoors, dining on bugs and taking dust baths while also indulging in their favourite activities, like scratching and perching. That’s a step up from cage-free, a label that consumers are finding is slightly less idyllic than they may imagine. It wasn’t that long ago that consumer demands for better animal treatment sparked the rise of the cage-free egg. Hens moved from the confines of 67″2 (170cm2) to the wilds of the barn, with space to walk and stretch their wings — but rarely, if ever, outside. The pasture movement goes further, sending animals outdoors for ample sunshine and space to spread out. Compared with cage free, pasture is tantamount to bird paradise. Many consumers seemingly agree. 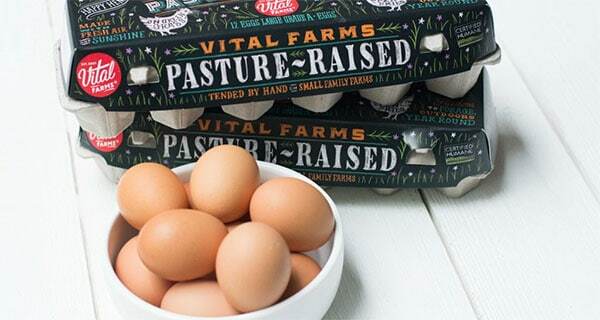 Sales of pastured eggs, which didn’t exist as a marketing tool a decade ago, jumped 32% this year through October 8, according to Vital Farms, which cited data from researcher IRI. Free-range eggs, similar to pastured eggs except the chickens have less space, increased 8.5%. Cage-free eggs were up 3.9%, and the standard product from caged birds rose 0.3%. As giants like McDonald’s and Walmart pledged to upgrade, the cage-free hen population has exploded to 60 million in the US, double what it was in 2016. Cal-Maine Foods, the biggest US egg producer, said in June it had increased its cage-free capacity. Voters in California passed a ballot initiative this month ensuring all eggs in the state are cage-free…..